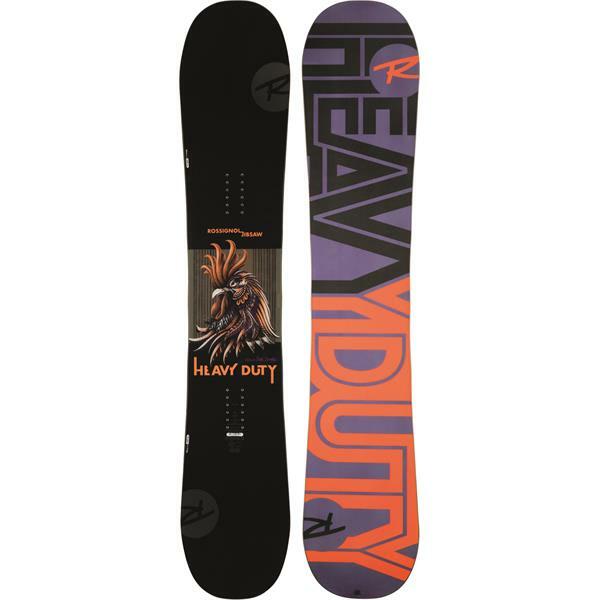 The full-throttle freestyle board Rossignol''s team has been asking for, the new JIBSAW HEAVY DUTY boasts a beefier, stiffer core profile and twin shape that''s designed to go BIG. AmpTek Elite camber/rocker profile and Serrated Edge tech supplies Rossignol''s most explosive blend of pop, stability, and edge grip for committed freestyle and all-mountain riders seeking heavy duty power and performance. Will this fit a size 10 boot? BEST ANSWER: Given that your stance isn't 0 degrees for both your front and back foot, this board will fit a size 10 boot just fine!